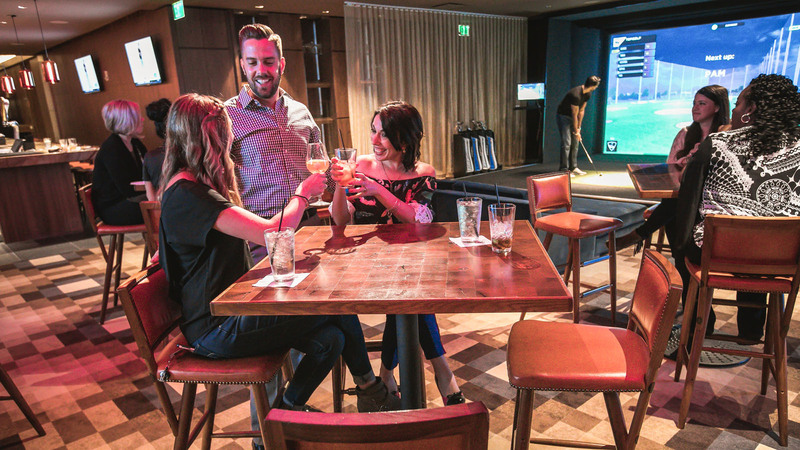 Enjoy the Topgolf experience in luxury hospitality and entertainment venues. 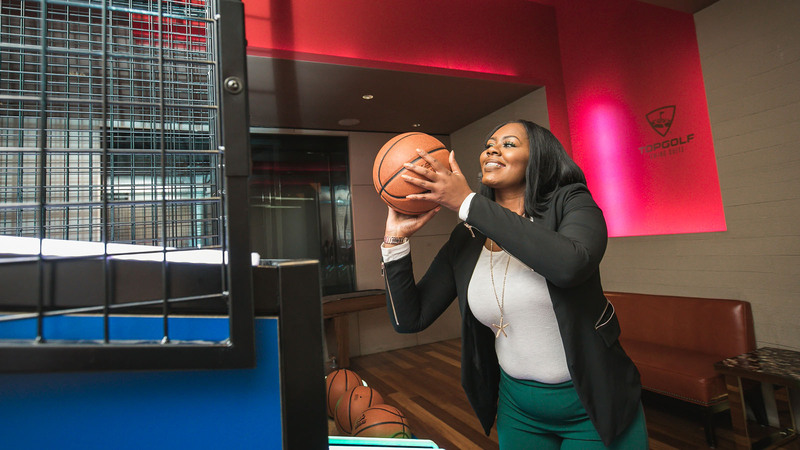 "Basketball is my first love, but Topgolf has quickly become one of my favorite hobbies. Having a Topgolf Swing Suite inside State Farm Arena will be incredible for the fans and will add to the already amazing atmosphere at Hawks games." It's everything you love about Topgolf, in a luxury suite. 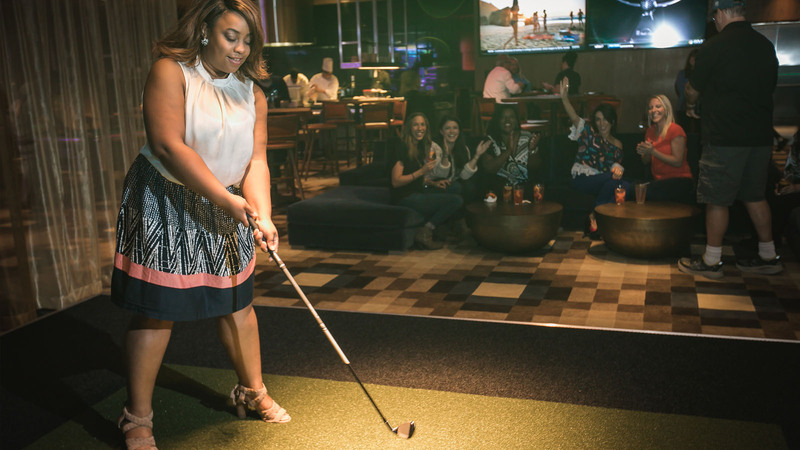 Through the premium experience of play, food and beverage and music, Topgolf inspires people of all ages and skill levels to come together for playful competition. The newest extension of Topgolf combines a simulated Topgolf experience with the luxurious atmospheres of hospitality and entertainment venues across the country. 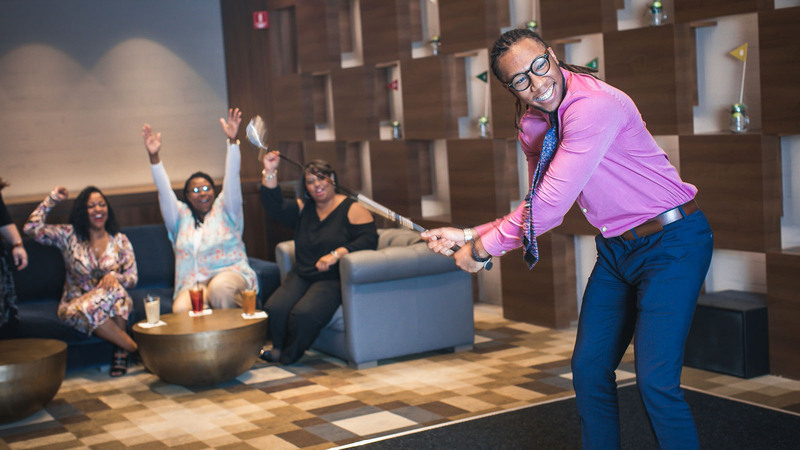 Each Topgolf Swing Suite location features a massive screen with a variety of multi-sport games, as well as HDTVs, comfortable lounge seating and food and beverage offerings. 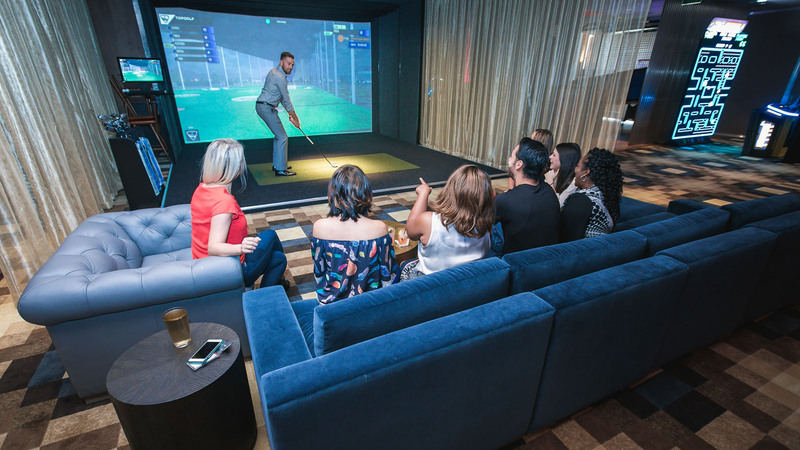 Find a Topgolf Swing Suite Location near you! 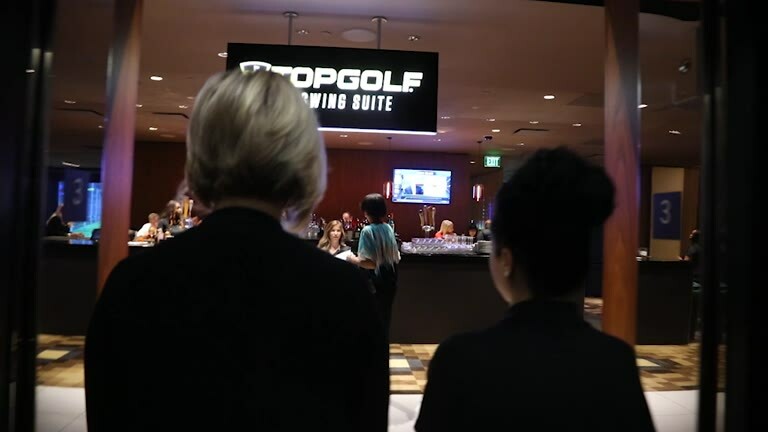 Topgolf Swing Suite will be coming to entertainment and hospitality venues all over the world in the coming months. View our locations list to find a Topgolf Swing Suite location near you. 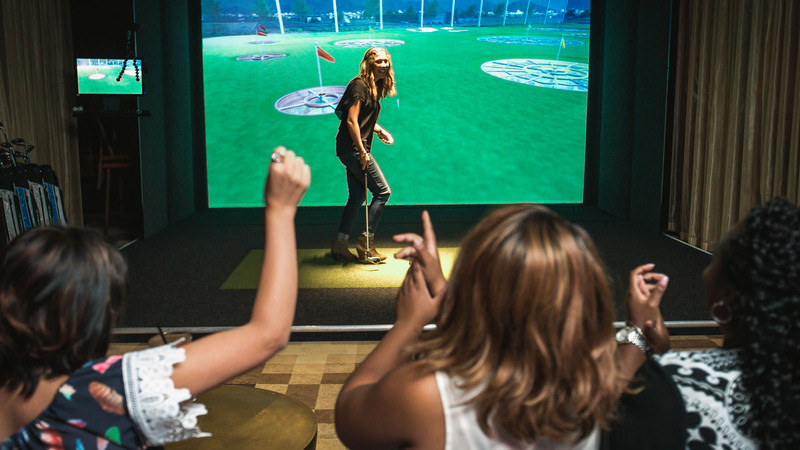 The Topgolf Swing Suite is a next-gen simulator lounge that brings the excitement, fun, and guest engagement of Topgolf to luxury hospitality and entertainment venues. Along with signature Topgolf games like TopContender, TopPressure, and TopChallenge, Swing Suite features non-golf immersive games like Carnival Classic, Hockey Shots, and of course, Zombie Dodgeball. When it comes to play, the possibilities are endless inside Swing Suite. 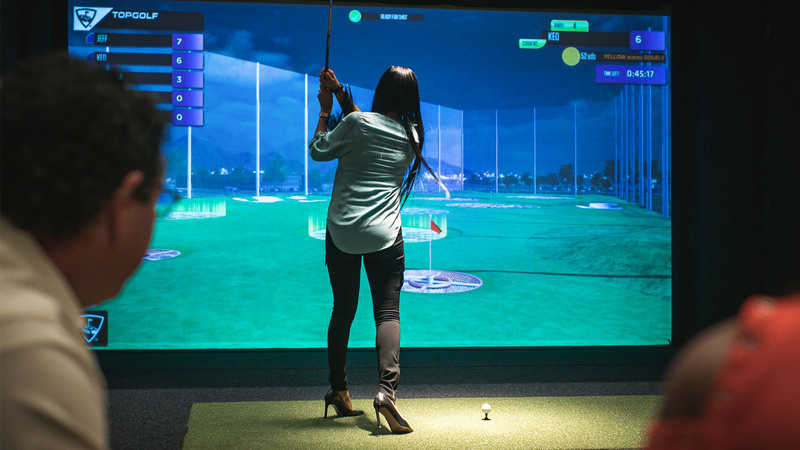 Our interactive simulator offers a variety of golf and non-golf games. Go from smashing a 7-iron to striking out a batter with a fastball in a matter of minutes. It’s all that and more when you step up to the big screen. Simply put: hit your ball as close to the hole as you possibly can. Miss the green or land in the water, and your score will pay the price. Take the mound against a team of sluggers looking to destroy your every pitch. Just don’t let them take you deep because it’s the bottom of the 9th and the game is on the line. A trio of zombie street dancers is looking to bust a move on your face. Defend yourself by hitting them with dodgeballs until time runs out. If more than one zombie reaches the fence, you’re in big trouble. In advanced mode, fend off a mob of zombie clowns! Pop as many balloons as you can in this fast-paced game of precision. The smaller the balloon, the more points it’s worth. Put up a lot of points, and you’ll be heading to the bonus round, where you can dunk a clown. In advanced mode, break as many plates as you can in this fast-paced game of timing and accuracy. No need to lace up your skates in this ice rink. Grab a hockey stick and puck then take aim at various targets in the net. You get 8 shots, so make them count! In advanced mode, you get 10 shots at smaller targets in more difficult net locations. Drive down the field against a tough defense looking to stop you from scoring a game-winning touchdown. Your wide receivers are counting on you being a very accurate quarterback. Not that there wasn’t enough pressure already. 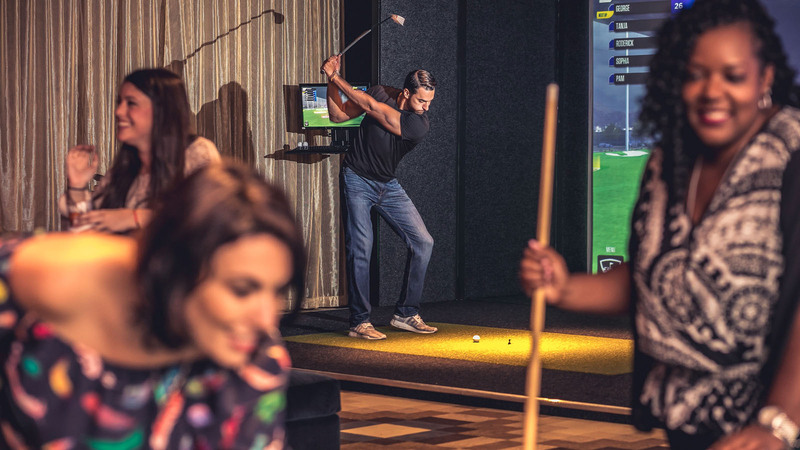 Find the nearest Topgolf Swing Suite in entertainment and hospitality venues all over the world. We'd love to hear from you! Fill out this form to learn more about playing at an existing Topgolf Swing Suite location, or request info about partnering with us for future locations.